About three weeks ago, I was one of the lucky participants of the world-renowned Western States Endurance Run. 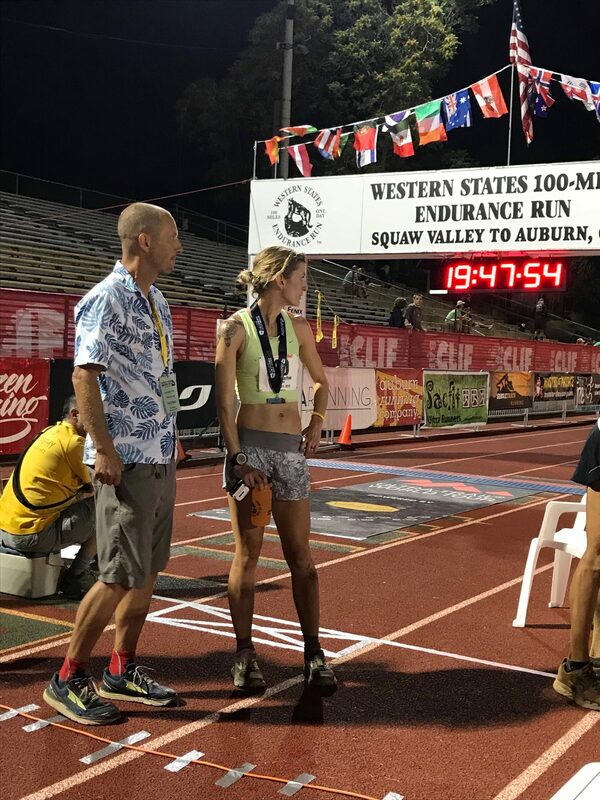 This was my first hundred-mile race and I thought it might be helpful for me to share more about the mental and emotional experience of running 100 miles. Before this race, the longest I had run was 100k. My finish time of 19:47 means that I ran nine more continuous hours than I had ever run before. The Tour du Mont Blanc is the most beautiful trail I have ever run…or so people tell me. Most of this rugged ribbon of singletrack I have only seen at night, while deep in a gel fueled haze while racing the Ultra Trail Mont Blanc. I’ve seen hallucinations on the trail and seen others vomit, I’ve felt the intense spirit of sport, but I’ve never seen much of the grander this place has to offer. I dream of someday doing the TMB the slow down and sip the espresso way. I’d love to soak in the afternoon sun at Refuge Bonatti, or grab a Coke at Champex-Lac, I’d love to chat with the caretakers at the refuges, or take time to just sit quietly and breathe in the alpine inspiration of the high country. 2017 Gnar Boss / Manure Awards! Well the response was pretty awesome. We learned a TON by reading the responses, and we also realize there was no way we could choose just one for either the Gnar Boss Award or the Epic Manure Award. By far the biggest thing we learned was there was hardly any difference between the GNAR boss Award and the Epic Manure Award! Both awards highlighted these runners individual trials and how they dealt with major discouragement and never quit in the face of adversity.